Secure, on-premise software makes unlimited address verification easy. Improve data accuracy and increase customer confidence in your brand. Includes DVP and LACSLink services to keep addresses updated. Check the validity and deliverability of a physical mailing address with our updated data quality technology. 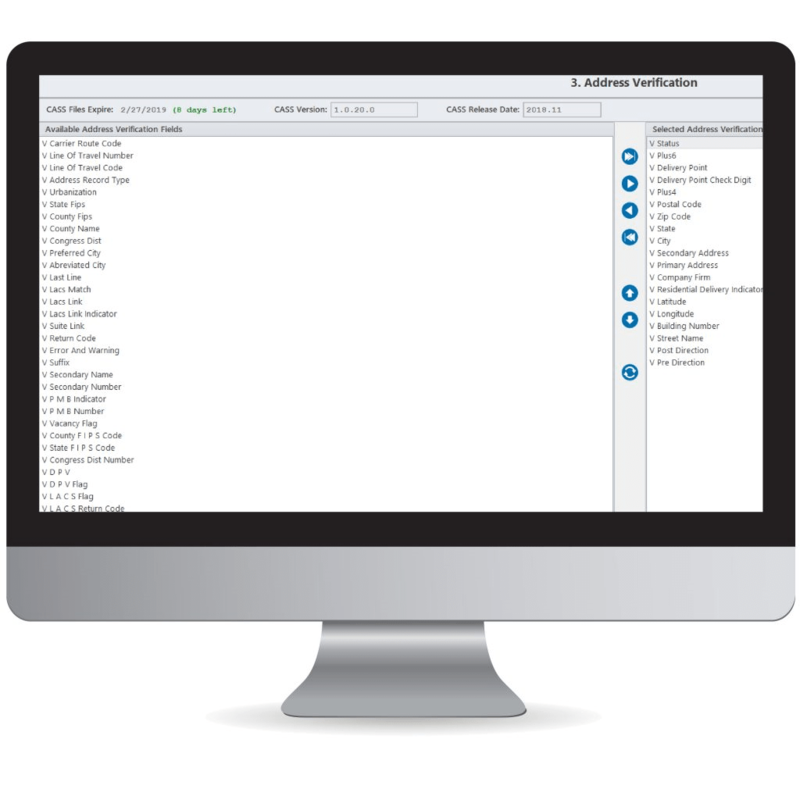 DataMatch Enterprise Server Edition comes equipped with address validation and geocoding technology, which helps standardize your address lists for mailings. Standardization converts an address to a standard format by correcting the address and adding missing information (such as a zip code or a suﬃx). It is then compared against a list of valid addresses to determine validity. You also have the ability to enhance each matching address and add ZIP+4 level latitude and longitude values for the best in mapping precision. PostalOne! MAIL.DAT – Submit data electronically to the USPS for postal acceptance and payment purposes. 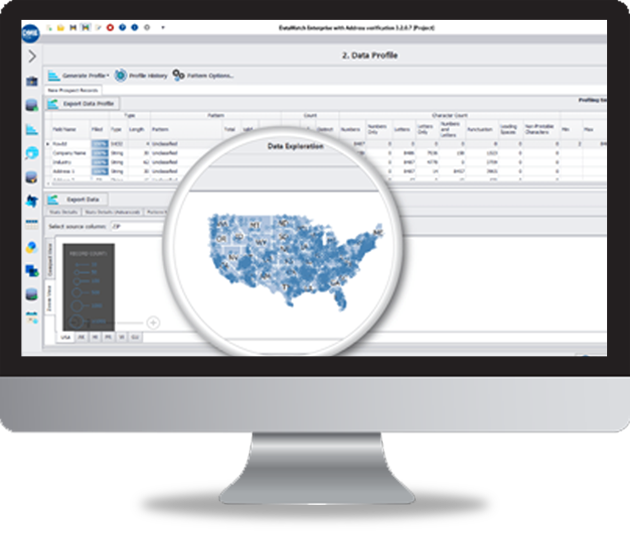 Nationally CASS Certiﬁed™ – Process your data at speeds up to millions of records per hour. Import ﬁles from over 270+ diﬀerent formats. So what do you do if there are inconsistencies or variations in your data? Even worse, what if there are diﬀerent errors in both a database and a search engine? Data Ladder’s DataMatch Enterprise Server ﬁnds the right data – even with incomplete information. Our algorithms can ﬁnd the areas of similarity regardless of what ﬁelds they’re located in or however the data is aligned. Our platform is a robust approach to making imperfect data usable. Our platform can make the right connections with any type of structured data. From spelling errors to redundancies, our tool can work through many of the common issues found in large amounts of data. Check the validity and deliverability of a physical mailing address with our updated data quality technology. DataMatch Enterprise Server Edition comes equipped with address validation and geocoding technology, which helps standardize your address lists for mailings. Standardization converts an address to a standard format by correcting the address and adding missing information (such as a zip code or a suﬃx). It is then compared against a list of valid addresses to determine validity. You also have the ability to enhance each matching address and add ZIP+4 level latitude and longitude values for the best in mapping precision. Geocoding provides the geographical coordinates for a speciﬁc address or location. 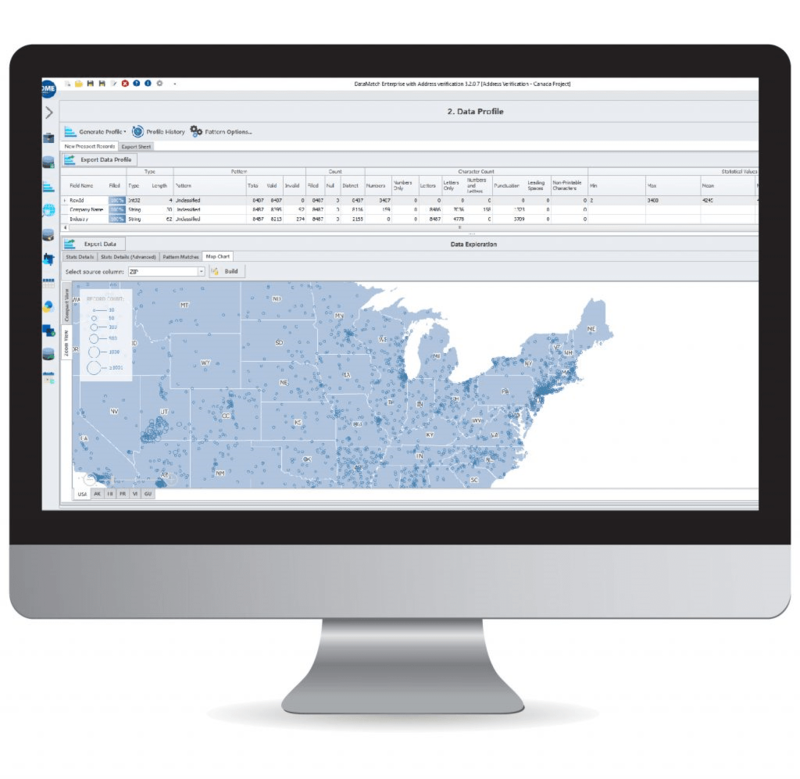 Whether you need to analyze intelligence data or visualize distance, there are numerous applications of this very important tool. Our geocoding module provides exact latitude and longitude, along with census tract and block group information for each deliverable address in your database. You can also perform distance calculations based on a ZIP+4™. Add Latitude/Longitude coordinates to your address lists at the ZIP+4 level. Add latitude and longitude coordinates carried out the 6th decimal. Provide county name and county FIPS code to the ZIP+4 level. DataMatch Enterprise + Address Verification Software also comes equipped with address validation for Canadian addresses. DMES will identify, validate, and correct addresses, and will format the results to the preferred standard for Canada Post. Address look up from a postal code, or the ability to view addresses by ﬁelds such as province or municipality. Capable of handling individual address ﬁelds or free format input and Integrates with existing applications and systems. Deciphers linguistic and regional language preferences. Corrects all types of Canadian addresses. Ready To Start Cleaning, Verifying, and Enriching Address Data?